Originally launched in 2008 with a grant from the Doris Duke Charitable Foundation (DDCF), the Lab helped teams from performing arts organizations design and prototype new ideas and launch real-life projects that address major challenges facing the arts and culture sector today. Over ten years, this Innovation Lab supported a wide range of performing arts and arts presenting institutions working in theater, dance, and music. In Round 9 of the Innovation Lab for the Performing Arts, four organizations were selected through a competitive request-for-proposals process. These grantees began their work in July 2014, and worked with EmcArts’ expert facilitators through March 2016. Download the Press Release. Center Stage: How can we use our CS Digital programming initiative to provide theater in a way that expands the art form – and pushes its boundaries – to increase access to theater for everyone? Intermedia Arts: How will we enroll a new physical space in creating artistic and structural models that have equity and inclusion at their core? Pillsbury House and Theatre: How can designing and using evaluation processes stimulate authentic community engagement, develop a distribution system for communications, and generate art? The Public Theater: How can we sustainably mirror artists’ creative processes in the way we produce their work? Curious about who applies to the Performing Arts Lab? Download this to read project descriptions of applicants and grantees in recent rounds of the program. Working Open - Stories from Innovation in Progress What's happening at Center Stage Theater? In the last decade, we've supported 35 unique organizations through the Innovation Labs for Performing Arts. 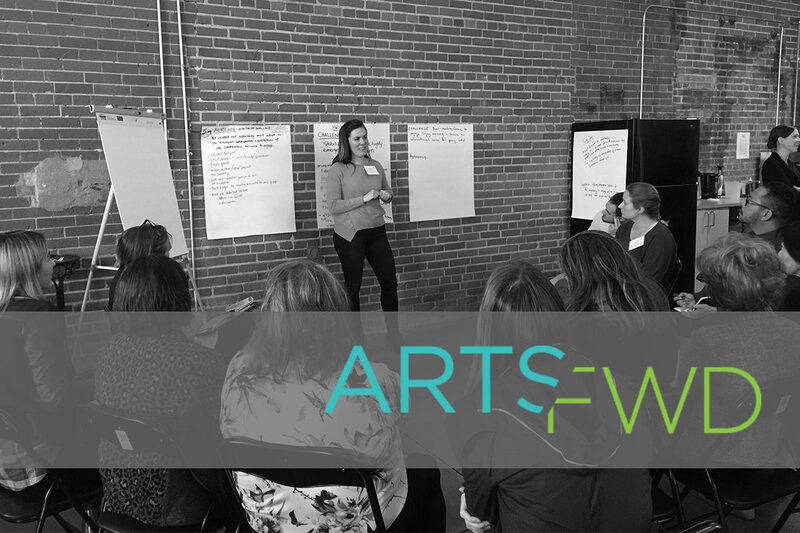 Through ArtsFwd.org, our online platform for learning and exchange on innovation and adaptive change, we've successfully captured and documented the messy, productive innovation journeys of many of these participating organizations. In working with these organizations, we have produced Innovation Stories, videos, interviews, and podcasts that are instructive about the pitfalls and successes of navigating complexity. Click on the highlighted organizations below to read more. Woolly Mammoth Theatre Company – Washington, D.C. The International Contemporary Ensemble (ICE) created their "Artist Partners" initiative through our Innovation Labs for Performing Arts. ICE eliminated traditional siloes between artistic and management functions, strengthened curatorial capacity, gave ensemble members more decision-making power, and created a new organizational structure in which members can lead creatively. Watch the video below and read the full story here.